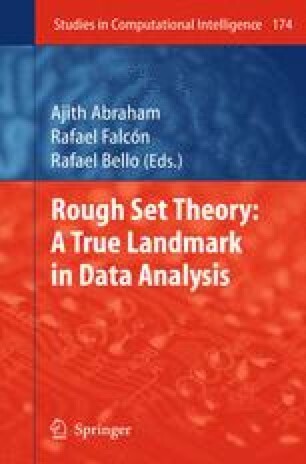 Finding reducts is one of the key problems in the increasing applications of rough set theory, which is also one of the bottlenecks of the rough set methodology. The population-based reduction approaches are attractive to find multiple reducts in the decision systems. In this chapter, we introduce two nature inspired population-based computational optimization techniques, Particle Swarm Optimization (PSO) and Genetic Algorithm (GA) for rough set reduction. Particle Swarm Optimization (PSO) is particularly attractive for the challenging problem as a new heuristic algorithm. The approach discover the best feature combinations in an efficient way to observe the change of positive region as the particles proceed throughout the search space. We evaluated the performance of the two algorithms using some benchmark datasets and the corresponding computational experiments are discussed. Empirical results indicate that both methods are ideal for all the considered problems and particle swarm optimization technique outperformed the genetic algorithm approach by obtaining more number of reducts for the datasets. We also illustrate a real world application in fMRI data analysis, which is helpful for cognition research.